After demonetization, due to increasing cashless transactions, cyber crime is at high risk. Keeping this in mind, cyber security consultants and ethical hackers are in high demand. The craze of such course is increasing among professionals. This certified course is done for using penetration testing techniques to access the security of computer systems. Courses Options: It’s not necessary that you have an engineering degree for being ethical hackers. Various Indian institutes are providing post diploma course in ethical hacking. Some institutes also provide certificate program or long-term program related to cyber security. This certificate course is achieved either by self-study or by getting the training at an Accredited Training Center (ATC). You can apply for the job of cybersecurity consultant, cyber senior security consultant, cyber risk advisory, certified information system auditor, certified information system management, certified information system, certified ethical hacker etc. Financial Engineering is a rising career and offers several opportunities. It involves financial theory along with the methods of engineering and tools of mathematics, followed by the practice of programming. It is attached with the implementation of professional financial rules related to the fields of corporate finance, portfolio management, Basel capital or liquidity requirements, and risk management. It requires skills related to applied mathematics, statistics, computer science, and economics. It plays a key role in customer-driven derivatives. Minimum Qualification: Bachelor Degree with Mathematics. Courses Options: Several institutes are offering certificate, diploma and degree courses related to this field. Usually, for preparing financial models, one should have the expertise to analyze the market. It requires mathematics formulas, programming and engineering theories with it. Career options: After completing the course, banking, insurance, security trading, engineering consultancy, quantitative analyst and others financial areas such as computational finance, corporate finance, and mathematical finance. Nowadays, the government is focusing on solar wind energy. The light which comes from the sun is used in various fields. Energy systems engineering is a wide field of engineering dealing with energy efficiency, facility management, plant engineering, energy services, environmental compliance and various energy technologies. Solar parks are established at various places. Solar Energy Engineer will be in high demand among Gen-y. 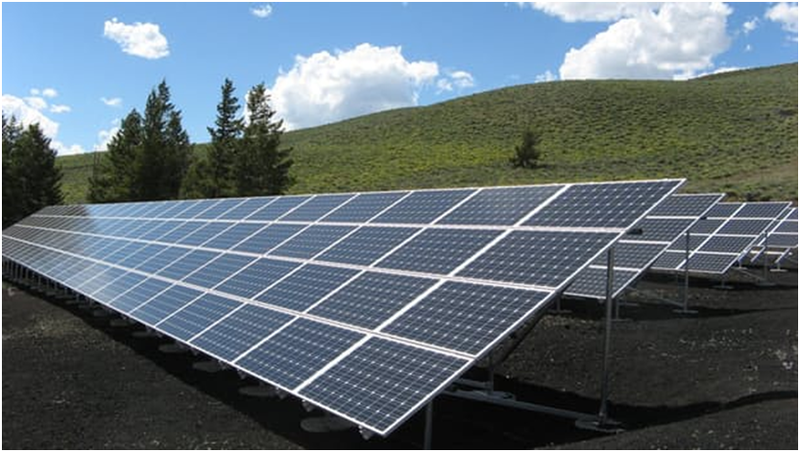 At present, several solar projects are established in Gujarat. Big companies are also taking initiatives to work for solar energy projects. It requires skills to develop the renewable sources of energy. Minimum Qualification: 12th pass with non-medical subjects like Physics, Chemistry, and Maths. Courses Options: B.Tech, M.Tech, Economic and Environmental Engineering, Power Engineering. Association of Energy Engineers (AEE) is providing a professional qualification in energy engineering. Except engineering, you can also get the qualification of Certified Engineering Manager (CEM) from AEE itself. Career options: Climate change and global warming are making students aware towards energy engineering. There is a great scope in government as well as private sectors in this field. One can also choose a career in the field of oil and natural gas extraction. Courses Options: Some institutes provide certified short-term or Diploma Course followed by 2-3 months Advance course for training. Career options: One can work as a Mobile UI Designer and an expert user experience and accessibility. Except this, one can also get the job related to engineer and mobile architect. One can get the post of Android App Developer, Mobile App Development Consultant, Mobile App Tester, Mobile App Development, personal digital assistants, enterprise digital assistants, Application development framework software developer. Starting Package: Minimum 4 Lacs per annum based on your skills. In the contemporary era, management consultant has a valuable contribution to the development of the organization. It helps in making plans for the developments of organizations along with the analysis of recent problems faced by the organization. The work of management consultant is to bring his own proprietary methods or frameworks to identify the problems and serve the organization for more effective and efficient ways of performing various tasks. Minimum Qualification: M.B.A from an affiliated university. Courses Options: One can have good exposure in this field. After MBA, one can apply for the senior posts like an associative or senior consultant. It requires expert communication skills so that you can easily convince clients effectively. It’s important that one should listen to the clients and give guidance to them. Starting Package: 5-8 Lacs per annum. Packaging is the technology of enclosing products for distribution, storage, sale and use securely. It refers to the process of designing, evaluating, and producing packages. It is applicable to packaging and printing companies that ‘What is visible, sells’. Customer will buy only those products which are good in packing. In India, packaging industries are advanced with gratifying speed. That’s why related people are in high demand. 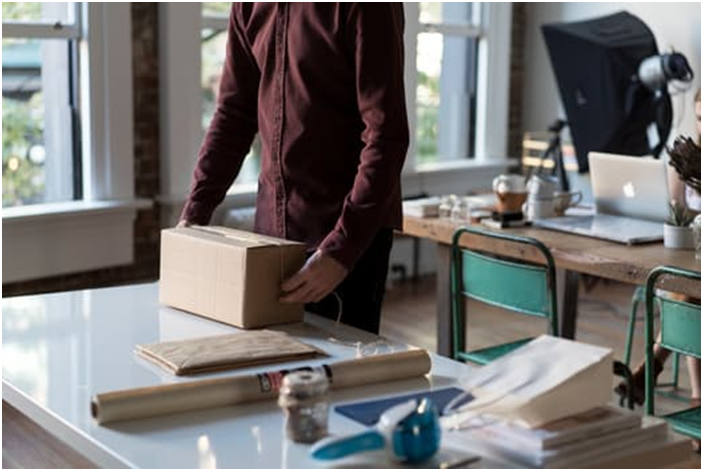 Package labeling includes written, electronic, or graphic communication on the package on a separate but associated label. Packaging and printing are completely integrated into all of the government, industrial, business, institutional and personal use. In the modern era, packaging can be done using three processes: tinning, canning, and paper-based packaging. Minimum Qualification: 12th pass, graduation in science, technology, engineering and allied fields. Courses Options: Indian institute of packaging is offering various courses such as 3 months certificate course(ITC) in programming and packaging, 2years full-time post-graduate diploma(PGDP), and 18 months course for diploma under Distance Education Program in Packaging (DEP) on annual basis, one week Executive Development Programmes (EDP). It requires skills related to packaging design and development, printing and packaging machine, quality control etc. You can also do various courses from SIES-school of packaging. Career options: You can choose a career in FMCG companies, export house and printing companies etc for the post of a consultant, supervisor or manager. Due to high rise in e-commerce, logistics is in high demand. All e-commerce companies such as Amazon. Flipkart, Snapdeal etc need logistics to book their products, for packaging and shipping them safely to the customer. The responsibility of logistics involves the integration of information flow, material handling, production, packaging, inventory, transportation, warehousing, and sometimes security. In military science, logistics is about maintaining army supply lines. Logistics management is the part of supply chain management. According to KPMG professionals, there will be a tremendous rise in jobs related to e-commerce, e-relation, logistics, warehousing and other technical areas. In India, logistics are needed for all types of companies. Courses Options: Various institutes provide several graduate and post-graduate courses for logistics. 2 Years MBA course is also offered by the affiliated institutes of-late. Career options: You can easily get a job in schools, hospitals, banks, retail companies and financial institutions. You can get a job for the post of secretary to director based on your skills. Fashion stylist or wardrobe stylist is a new concept in our country and is an emerging profession worldwide. Over the years, people become crazy about the fashion which makes a good scope in this field. It’s up to you that how creative you are and how effectively you can apply your own marketing strategies. Along with this, you should have known about new trends in the fashion world. It’s not only about clothing but all about a creative team assembled by the clients, collaborating with the fashion designers, photographers, directors, hair stylists and makeup artists. Courses Options: Various institutes such as NIFT (National Institute of Fashion Technology), Indian school of design and innovation (ISDI) etc are offering foundation course, short term courses, 1-year diploma course, 3 years graduate and post graduate programs. Career options: You can apply in the fields like a fashion house, ad agency, film industry, event management companies etc as a fashion stylist, fashion editor, celebrity stylist and more. High-level stylists can collaborate with celebrities and editorials. Starting Package: Fashion stylists can earn starting package of 2-3 lacs per annum or they can work on an hourly basis depending on the required services. Labels: B.com(hons), B.Ed, M.Ed, M.Ed Colleges in Lucknow.B.ed College in Lucknow. Most established universities in India now offer BBA or Bachelor's in Business Administration courses. Similar to an MBA, a BBA degree aims to equip an individual with knowledge of the various aspects of business such as product and distribution, sales and marketing, operations, human resources, financial management, international trade, and strategic planning.A BBA gives graduates the opportunity to be employed as entry-level employees in big corporations, including MNC's. Industries hiring BBA graduates include retail, banking, pharmaceutical, FMCG, BPO's, and financial services. A BBA degree holder can also capitalise on his education to drive an existing family business or start a new one. English language test - This section will assess your proficiency in the English language. It includes questions on grammar, synonyms and antonyms, passage composition, spelling, and spotting common errors in use of words. Quantitative aptitude - This section tests your level of maths proficiency and is mostly based on math curriculum from 6th to 10th standards. Even if you have a strong grasp of mathematical concepts, do prepare for this section prior to taking the entrance test. Some of the concepts you must brush-up on are square roots, HCF /LCM, percentages, fractions and decimals, compound and simple interest calculation, and quantitative comparison. Logical reasoning test - Logical reasoning questions test your ability to use apply concepts, relations, and logic to solve seemingly complex situations. These questions are unlike anything that is typically taught in school, so you must prepare for this section well. The question types include series tests, insert missing sequence, odd man out, mathematics, data sufficiency, and analogy tests. General knowledge - This section evaluates your awareness of general knowledge topics such as politics, trade, business trends, sports, economy and current events. Apart from keeping track of the current local and global news, also brush up your knowledge on subjects studied in school such as political science, history and geography. A B.Com or Bachelor’s of Commerce is a pure commerce degree covering subjects such as Accountancy, Business Administration, Finance, Economics and Industrial Policies. While B.Com is a highly coveted course in Indian universities, it is not a degree tailored to make you employment-ready. Most students who do a BCom, immediately follow it up with further qualifications such as an M.Com, MBA or a law degree. A B.Com focuses on the financial aspect of running a business ( for instance business laws, profit and loss, and balance sheet), while a BBA looks at a 360 degree view of business ownership that includes product design, marketing, HR, operations management, and financial accounting. The choice between BCOM and BBA is a personal one. If you enjoy studying subjects such as accountancy and business law, if you wish to become a chartered accountant / company secretary, or if you want to pursue a line of work other than management, then a B.Com degree is a better choice. On the other hand, if you want start working immediately after graduation, if you aspire to specialise in management studies, or start a business venture, then a BBA is a better choice. The cost of studying BBA also varies largely. You could have to pay less than a lakh for a BBA from a government sponsored institute, to three to five lakhs from a private institute. Keep the admission costs in mind before applying to a BBA college. On completion of your BBA, it is advisable to get hands-on experience in the business world before you pursue a MBA. Working for a company will give you the much-needed insight into how to marry ground realities and management theories. In fact, the more reputed business schools in the world prefer candidates with work experience. In today’s competitive economy, management graduates are much in demand. Graduates with Bachelor degree in Business Administration are equipped with skills and knowledge required to work in various positions related to management. The course aims to provide the learners, basic management and business skills which form the foundation of their management career. It also inculcates entrepreneurial skill in an individual. The successful graduates get entry level jobs in various areas as well as they have an option to start their own entrepreneurial ventures. To cover up the limitations of time crunches, various universities have launched the program in distance/ correspondence mode. The distance program is highly in demand as it works for working professionals, who couldn’t continue their education due to various reasons. The distance mode helps them to enhance their profile by adding graduation degree to it. Bachelor of Business Administration (BBA) is a three-year graduate course that teaches the basics of management to an individual. The course structure covers subjects such as finance, marketing, economics and various others. It also prepares students for an MBA degree as it sets the foundation of management education. For those who are fresh out of school and still not sure what they want to do in their career, BBA is an ideal degree. Bachelor of Business Administration is a bachelor’s degree program that has become one of the most sought after programs by the youth of the country. This program is so popular that it is slated to overtake the popularity of engineering and other courses. We are now currently having too many engineers in the country, and most of them are going jobless. Many engineers after completing their courses are working for lesser salaries. While this is the case with engineering, there is a huge demand for managerial posts. These managerial posts are taken up by graduates and postgraduates who have a management background. So, students who have passed their intermediate are realizing that opting for a BBA degree is better than opting for engineering or other courses. It is even noted that a BBA degree is relatively cheaper than pursuing an engineering course. What is a BBA program? The Bachelor of Business Administration is a three-year degree program that teaches participants the nuances of business administration. They essentially teach students to manage businesses. Providing fundamentals and basics of management and business, the course enables students to understand the dynamics of running a business successfully. What is taught in the program? Business Planning & Project Management. This is not an exhaustive list, but it is clear that a BBA program enables a student to understand the total operations of a business. After completion of the course, a student can pursue a career in companies as Operations Manager, Sales Manager, Cost Estimator, and many other posts. The career scope of a BBA graduate is immense. It has been found in a study that many corporate companies hire BBA graduates for entry level positions. Students get in depth understanding of business administration. A BBA program is the foundation for further studies like MBA. It gives practical knowledge of corporate business activities. It improves business related decision making. It provides knowledge of Marketing Strategies. With corporate and factory visits, it increases understanding for various cycles of business. It provides internship with corporate houses leading to good job opportunities. It teaches how to develop a business idea into reality. We at RAMA DEGREE College of Management have come up with a very competent BBA program that is attracting a lot of students. Based in Lucknow, we provide high quality professional education to students. We recognize the hidden talents in students and hone their skills. For us, students are budding managers! Our emphasis is on providing both practical and theoretical knowledge to students so that they are well versed with all business concepts and can apply them in real life situations. It is for this reason; we are one of the best management colleges in Lucknow. Through this blog we shall be highlighting some of the Best Courses that students can pursue after 12th Commerce and build a good career in the commerce stream. Students normally get confused as to which degree or professional course to undertake in order to build up a good career base. Simply stated, What to do after 12th Commerce is a common query that students tend to face once they reach 12th standard. Parents are also worried about the career options for their children that will set a good platform for them to become successful in life. 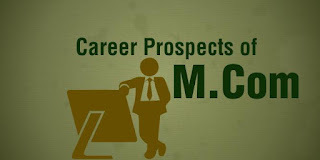 There are numerous career options to select from.But,you wish to select the best for yourself. Here we shall be discussing about career in commerce i.e. career options for commerce students only. You can’t define one single best course for yourself.There are a number of degrees and professional courses to choose from.What matters is the one that you choose and prove it to be the best for yourself. Making the right career choice is a major decision of one’s life.Sometimes it is a bit confusing.So,follow your interests and go ahead with what makes you feel happy. Now,coming to the point, after passing 12th Commerce you need to select as to which direction you should move ahead. Taking the right decision is just a stepping stone for building a successful career in the commerce field. You have to put in the best of your efforts to achieve your dreams. So,if you are aware of your interests and which way you exactly want to go,things might seem a bit easy. We have focused only on finance,accountancy,taxation,law and related courses in this post.There are numerous other courses that a commerce student can pursue as per his preferences and interests. e.g. Students are interested in wildlife photography, fashion designing, hotel management, other creative fields etc. as we got feedback in our comment section. You just need to be confident, follow your passion and work hard to achieve success. Here is a list of some of the main courses that commerce students can pursue after their 12th Commerce standard. This is not in any particular order, you can go through the list and make a choice based on your interests. We have tried to cover a few major career options for commerce students. This is the general degree that spans over a period of 3 years that you can pursue after completing your 12th commerce.Having a normal B.com degree proves quite handy even if you are pursuing any of the professional courses. It is always beneficial to complete your graduation that may help you later on if you go for higher studies. You can pursue B.Com as a full time course or through correspondence depending upon your choice.Distance education/correspondence is beneficial if you are also pursuing a professional course like CA,CS etc.Otherwise a regular degree is a better choice. This is similar to B.com but in an extensive form with specialisation in a particular subject or field like Accountancy,management or economics etc.The industry demand for B.com (Honours) is somewhat better than normal B.com.However,the admission criteria and eligibility conditions might be similar for both.These may slightly vary for different universities/colleges. The subjects are also quite similar, the major difference being that you will get to do in depth analysis while studying B.Com(Hons). This is yet another option for commerce students to pursue after their higher secondary education. You will get to experience practical knowledge on various economic concepts,economic policies,analytical methodsand programs etc.If you are keenly interested in economics and want to gain specialisation about the economic framework, this might suit you. If you want to prepare for Indian Administrative Services or IAS, having an economic background shall be an added advantage for you. This is a 3 year Business administration course helping to build a base in core business disciplines.You get to explore different functional areas of a business environment.So,if you are interested in getting an exposure to the various business aspects and get a hold of the concepts of business administration, this course might be your choice. In addition to academic learning, if you pursue BBA from a good university, you get well versed with business insights and real world business skills. After completing your graduation, you can look forward to a Post graduation degree like M.Com (Finance) or MBA (Finance) or MBA with specialisation in any other field as per your preferences. This is an obvious choice for the ones thinking to build their career in the financial and business management field. This is the best professional course for building a successful career in commerce.Becoming a Chartered Accountant opens the various doors to exciting career opportunities in diversified sectors.You can act as a Tax Consultant,an auditor,an advisor,a financial officer and so on depending upon whether you go in your own independent practice or you settle for a corporate job. It requires lot of hard work and sincere efforts to enter this esteemed profession. It might be easy for CA entrants to clear the entrance known as Common Proficiency Test (CPT).But,the higher levels you reach i.e. Intermediate (IPCC) and CA Finals, the tougher it gets. So,complete determination followed by consistent efforts are the keys to success. This professional course is provided by The Institute of Chartered Accountants of India (ICAI).Its Head office is in New Delhi, branches are located all over India.You can visit the official website www.icai.org to get deeper insights on the course,eligibility conditions and admission procedure. This a well known course promising rewarding career in the field of accounting,taxation,auditing,financial reporting to name a few. The theoretical knowledge alongwith the practical training (articleship) that you get helps to build a name and respectable position for yourself. This is another professional course that is opted by students after 12th commerce. This course is provided by The Institute of Company Secretaries of India. A Company Secretary is basically responsible for all the regulatory compliances of the company and acts as an in-house legal expert.After doing CS you have an option to practice independently or look in for a job in the corporate world. This is also a preferred choice for students pursuing Chartered Accountancy. A combination of CA and CS is common choice among students to build a good career. This course is provided by The Institute of Cost Accountants of India or ICWAI. Certified Cost Accountants maintain cost accounting records,do cost auditing,helps in planning,controlling and costing of products. You can do your own practice as CMA or hold managerial positions in public as well as private enterprises.The role of Cost Accountant goes beyond that of Financial Accountant by helping in production operations and processes.You can chose the cost audit area,certification and consulting areas. If you are interested in building a career in areas of Personal finance, wealth management, insurance planning, mutual fund investing then this might be a great fit for you. So,if you want to enter the financial planning world, then you need to get this certification as a Certified Financial Planner or CFP. Financial Planning Standard Board India or FPSB India is the principal licensing body that grants CFP license. So,if you are thinking to become a financial planner helping people in their investment planning, tax planning, insurance, retirement planning, CFP is a must have. LLB is also a common degree that students pursue after their 12th standard. You might already know who a “lawyer” or “advocate” is and what are his duties. The Bar Council of India (BCI) is the main regulatory body of Law Education in India. BCI provides certificate of practice after completion of LLB. In order to practice you need to clear the All India Bar Examination. The law students have a great scope of establishing name,fame and a good career in the long run. So,here we have discussed just few of the major courses for commerce students that you can select from. There might be many others like you can go in for some banking courses or prepare for UPSC or IAS if you are interested in doing so. Having guidance from your elders and experienced persons really helps, but the final decision should be taken by keeping in mind your own passion and interests. The education that you will gain today shall accompany you throughout your life and will surely guide your way. If you follow your passion and pursue what you like,the success path will become much smoother for you.You can anyways become successful in life if you take the right career decisions and enjoy your career path. The author of this blog is a Chartered Accountant, so you have read some exclusive details on the Chartered Accountancy course. If you wish to add details and share your own experiences on any other option for students to build a career in commerce, go ahead …Feel free to share your valuable feedback. If you have any queries, you can ask in the comment section below ! Hope you guys are enjoying your holidays after completing your board exams successfully. Relax yourself; spend time with your family, go for a pleasure trip, play for a while and enjoy the holidays safely. Never worry about the exam results and get stressed as it's over you can't change anything. Apart from enjoyment, concentrate on your career too. The efforts that you put in choosing the right course will decide your future. Know your area of interest, your ability to learn, value of the course, job scope & financial commitments and then decide your career accordingly. Never choose a course merely on the compulsion of parents and others or as your friend has chosen the same. If you are going to choose engineering or medical then prepare yourself for counseling and entrance exams. Get guidance from your teachers, parents, seniors, well-wishers, siblings & friends for knowing about the best colleges in your city and do research based on this before you attend the counseling. Remember that the final decision must be yours. If you prefer to go to college like arts and science, then select the best colleges in your city. See to that the course you select must be valuable, has job opportunities and on which you are passionate. Whatever degree you opt for, you need to have the desire and willingness to learn new things. This is the right time for you to choose your career so choose it based on your area of interest, aptitude skill, assessment of strength and weakness, skills, opportunities, capability, feasibility and financial aid. If you choose the career based on your interest and potential then you will not change it at any point. Choose the right career and make your future fruitful. All the best students!!! Whether you want to be a psychologist or a journalist, a bachelor’s degree in arts comes in handy. This Bachelor of Arts degree is a three to four years undergraduate program with focus on humanities, literature and arts. Once the course is completed, not only will you have abundance of career options but you’ll also have a useful set of skills which you can apply in your daily life. The following are some of the foremost advantages of pursuing a Bachelor of Arts degree. Much like reading, writing is also a skill. During your bachelor’s degree program, you’ll be sharpening that skill by reading and examining a text up-close. This skill prepares you to read a specified piece of text and see it from your own perspective. Further, this helps in developing your critical thinking skills. More than reading, writing skills is helpful in our daily lives. The way you write decides how you express yourself and reflects your personality. This will certainly sharpen your writing skills and help you make a career out of writing. Once you complete a BA degree you can expect to discover ample of prospects in the fields of teaching, public service, journalism, psychology and publishing. If not, you can also go for a job at a local company. Though complicated to find, an entry-level job can generally be acquired easily upon completion of the degree program. Whether you want to be a teacher, journalist or psychologist, an undergraduate degree in arts proves to be very helpful. A lot of people major in their preferred subject when finishing their bachelor’s degree. Upon completion, they opt to pursue a master’s degree in that subject to further improve their skills and also to look for better job opportunities. Developing your research, analytical and communication skills, this degree facilitates you to acquire in-depth knowledge about areas which interest you and to enlarge your horizons by learning about subjects which you earlier knew nothing about. Best BA college in Lucknow. One of the most frequently asked questions by the students is – what career to choose after B.A in English? B.A in English is a common subject which students opt for as it offers a host of career options for the students. After completing graduation, students generally get confused whether to work or go for further studies. There are many professional courses like Journalism and Mass Communication, Linguistics, Film Editing, Visual communication etc. there are many academic courses like M.A, M.Phil and Ph.D, which students can pursue if they want to go for research work or wants to be a professor. If they want to work directly after B.A. then they can succeed in business, management and finance, government service, library work, marketing and advertising. Mass communication is a good field for literature students, who have good fluency over the language. There are many other courses that help students to fetch a good salaried job. Those who complete Masters in Journalism can work as sub-editors and reporters in the print media or as assistant information officer and public relation officer in the Government’s information service and so on. A good personality and fluency can fetch them the job as news reporter on T.V. EFLU courses stands for English and Foreign Languages University that provides M.A in Media and Mass communication and M.A in English courses. It includes scripting for radio and T.V; writing for newspapers; business writing and oral communication and presentation skills; educational technology; visual communication; media in communication and so on. Graduates from English language and literature can opt for any of the above discussed fields. Students can also go for management courses such as MBA and Master of Financial Programs and Post Graduate Diploma programs conducted by the leading institutes and universities are very good options. Students who take commerce as an additional subject have even higher prospects. MBA airline and airport management programs are also suitable options for them. So it is clearly visible that there are a vast number of career options to choose from. You just have to listen to your heart and put the pedal on the metal and go for your dreams. Media and communication sector is becoming more diverse and dynamic, and gaining popularity in this era. It is one of the most exciting and evolving area of study among today’s generation. Media and communication studies provide a deep insight into the latest trend of mass communication and various media. It focuses on television, radio, print, Internet, public relations, music, advertising and movies. It also comprises media research and media policy which explains how the media works and impacts the society. Now-a-days media technology has made communication much easier and student are taught about media tools to enhance their understanding on various technologies. Electronic media in communication includes television, radio, computer, cell phones and other devices in association with photography, cinema, broadcasting, advertising, publishing, media and press. It also blends professional courses in digital production, broadcasting and writing. Communication studies is somewhat a broader term which includes carriers not only in media such marketing, journalism and entertainment but also education, international relations, law, business, management, politics and many more. Students from different academic background can apply for media and communication studies. A series of lectures, various practical activities, seminars and assessments are given and taught to the students to provide insights into the media world. There are many other carrier options for those who want to go for further studies in this field such as: one can opt for postgraduate degrees like Master of International Relations, International Journalism, MBA in media and communication and Master of Commerce. Students with masters in media and communication gets opportunity in media industry and get training in the way so that they can critically analyze how media represents, influences and reflects the world. Education is something that shapes one’s life and personality and defines success. There are many people in India who are depriving of higher and quality education due to various reasons from family to work responsibilities. Technology and globalization have increased the accessibility of higher education in recent years. MOOCs or Massive Online Open Courses are recent trend in distance or e-learning, offering an opportunity to large number of students to study high quality courses online with prestigious universities at no cost. MOOCs courses are mainly free open online courses and are the learning hub for those who are deprived of regular studies. These are open to anyone in the world and students need to get enrolled in the institution offering MOOCs that too without or low fees. MOOCs online learning can be regarded as smart mini colleges providing access to many courses which are being taught at some of the world’s leading universities by leading scholars. These are ideal for independent studies and users can select courses from any institutions offering them. MOOCs online learning method made the courses available on internet and students can watch the lectures online which are often more useful than classroom lectures. MOOCs learning hub help students by providing opportunities to expand their knowledge and interests without dedicating a fix period of time at college or university. Anyone can be benefited from MOOCs online courses for enhancing both theoretical and practical knowledge of the subjects by combining these courses with regular college or university courses. So they are like mini college as they are available anytime anywhere with only one click. According to an updated report in Global Financial Monitor, employers are presently facing a talent scarcity of accounting and finance professionals. This signifies job opportunities for graduates with a commerce degree are moderately promising. A Bachelor of Commerce or B.Com degree is a three year undergraduate course and is specially designed to provide students, managerial skills in commerce associated disciplines such as accounting, finance, marketing and advertising amongst others. The degree is basically structured to offer aptitude in organizational behavior and business principles by focusing on core subjects such as law, finance, statistics, marketing, accounting, economics, cooperative as well as marketing education. This is a degree that offers students with expert knowledge in a variety of fields of organization and business management. 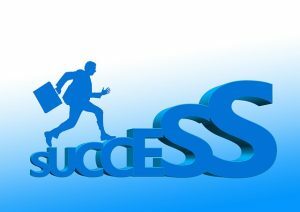 With a B.Com degree you are well prepared to be successful in both corporate and self employment. There are high job prospects for holders of this degree as all companies or businesses needs a commerce specialist, manager or at the very least an accountant. Familiarity in accounting offers you with an aptitude to comprehend and scrutinize financial reports and how they usually affect a business. A good knowledge in management and cost accounting practices is significant in decision making processes and in planning as well as evaluating the performance of a company’s business activities. Human resource management is an additional option provided in this degree course. This choice prepares students with the essential skills in analyzing, identifying and searching solutions to problems associated to human resource activities. It covers essential managerial processes such as selection and recruitment of employees, promotions, employee welfare, talent hunting and application of work-related safety process in a company amongst others. At a stage when you are going to complete your graduation in commerce or have just completed it, the first thing that comes to your mind is – What should I do now? Here are a few career options you can pursue after completing your graduation in commerce. Most students take up commerce just to become a CA or CS. It is one of the best career options for all commerce students. There is a high demand for CAs and it opens up more opportunities, especially in business. Chartered accountants can make a career in Banking (Private & Government), Public Limited Companies, Auditing Firms, Finance Companies, Legal Firms, Mutual Funds, broking Firms, Patent Firms, Investment Houses, Copyright Registers etc. After completing your graduation, you can pursue a Master’s degree and then apply for the National Eligibility Test. The NET is conducted to determine the eligibility for Junior Research Fellowship Award or Assistant Professor. A lecturer’s job provides a stable salary and gives you a chance to constantly increase your knowledge. To become a banker, you need to complete an internship and an investment banking program to get a license. An MBA degree improves your career options. Bankers give their customers a wealth of services. They assist in initial banking requests such as setting up certificates of deposit and opening a checking or savings account as well as handling trusts, investment accounts, deposits, lines of credit and much more. A banker should have good communication skills, love to help people, good in sales marketing knowledge, multi-tasking proficiency. Government jobs are the best in terms of job security. Most government jobs have fixed working hours, good pay structure, less work stress. With this, you can enjoy perks and benefits like medical, housing, loans, childcare, lots of holidays etc. Students of B. Com. can also pursue a Masters in Human Resource Management. HR officials assess policies relating to personnel management and describe the effects of these policies on roles and operations within the company. There are different career opportunities available for HR like: Administrative Services Manager, Labour Relations Specialist, Human Resources Specialists, Training and Development Managers etc. You need to get a Bachelors Law Degree or LLB recognized by Bar Council of India to practice law in India. To pursue a 3-year LLB course, the minimum eligibility is s Bachelor’s degree with at least 50% marks. There is no age limit. Again, one more good career choice for commerce graduates is Institute of Cost & Works Accountants of India (ICWAI). After completing your ICWAI course, you can pursue M.Phil. or PhD or join as a Financial Controller, Cost Controller, Chief Internal Auditor and Chief Accountant etc. There are different levels of Cost Accountancy: Foundation, intermediate and final examinations and three years of practical training. Cost accountants are involved in the costing part of financial transactions. CWAs earn lesser, starting off at an average of Rs.3 lakh p.a and getting a pay package of around 8 – 10 lakhs after 5-6 years of work experience. The CMA is offered by the Institute of Management Accountants (IMA) USA and the content is regularly reviewed by the Institute of Certified Management Accountants (ICMA). The required skills for CMA are financial planning, analysis, control, decision support, and professional ethics. The certification is the most popular management accounting certification not only in the US but also in the fastest developing regions like China and the Middle East. The work of a market researcher is to study the market trend, market competitors before launching any new product. There are different works of a market researcher, like: meeting and liaising with clients to negotiate and agree on research projects. Analysing and interpreting data to identify patterns and solutions, including surveys and focus group transcript. Further, they can become research executive, senior researcher, account director etc. 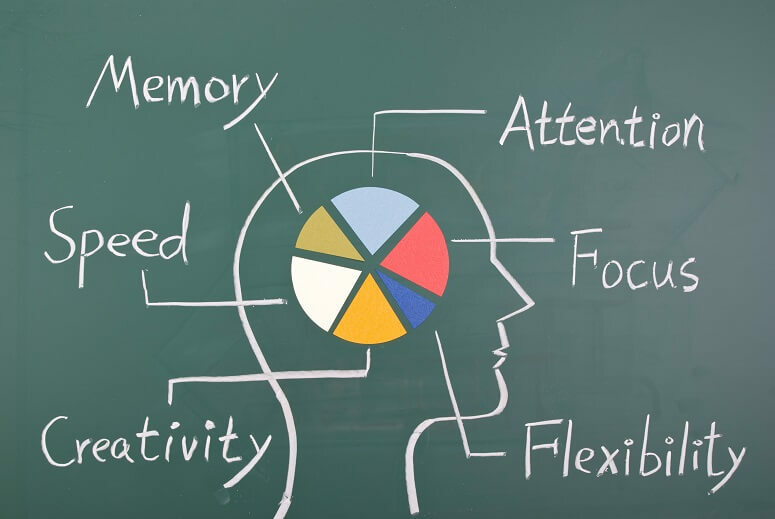 How to improve your concentration in study ??? Many students complain that they just can’t concentrate, and that minds race from one thing to another and their thoughts are all over the place - except on their studies. But almost everyone has the ability to concentrate. Think of a time when you were totally engrossed in something you really enjoyed, for example a movie, a book, a game of rugby or netball. 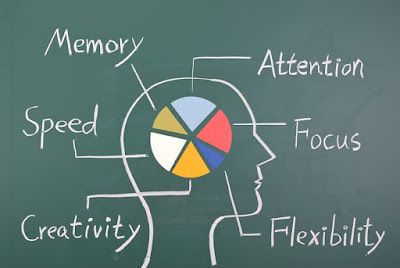 The trick is to use the right strategies to unlock your natural ability to concentrate and apply these to your studies. If, however, you try the strategies below and still struggle to concentrate, contact the Library and Learning Centre; we may be able to provide additional support. Your choice of study space can influence your level of concentration. Choose a study space with good lighting and ventilation, which is a tidy, organised and pleasant place to work. This will help reduce distraction. Leave your cell phone outside or turn it off. If you like music that’s okay, just ensure it is not a distraction. Draw up a study timetable that takes into account your energy levels at different times of the day, and stick to it. Divide your work into logical sections that have a beginning and an end. Our brains are holistic, so you’ll find it easier to work on something that forms a whole, rather than something that's left hanging midway. Before you begin studying, take a few minutes to think about what you’ll achieve. Write down your goals for the study period. For example: ‘Summarise pages 40-65’ or ‘Complete the outline of Assignment 1’. Set yourself a time limit before you start. For example: 'I’ll summarise Chapter 2 in 40 minutes'. By doing this, you're setting yourself a goal and your subconscious mind will start working on completing the task in the time available. Remember best when they study for shorter periods then recap and consolidate what they learned, as opposed to studying for longer periods. Learn better at the beginning and end of a study period. So, plan to study for about 30-45 minutes, review what you have learnt, then take a five to 10 minute break. Change the subject or study strategy every few hours. This will lessen the chance of your becoming bored. Use your study break for exercise (or perhaps housework). This changes the pace and helps to get rid of extra adrenaline. Alternate reading with more active learning exercises. For example: mind mapping or writing model answers. Every time you notice your thoughts wandering, tell yourself to 'stop'. Then consciously bring your thoughts back to your studies. Initially, you might have to do this many times each study session, but with practice you'll find you are able to focus for longer periods. If you find it almost impossible to re-focus try taking a break, switching to another subject or topic, or using a different study strategy. Allow yourself time to worry but decide beforehand when and for how long you’re going to worry. Then, when something distracts you while you're studying, or if you start to feel anxious about something during the day, write your thoughts down and set them aside, telling yourself you’ll deal with them during your worry time. Putting what they learned into their own words. Comparing what they are learning with what they already know. Linking new facts to what they already know.